The government has accepted the independent Low Pay Commission’s recommendations for this year’s National Minimum Wage rates. As from 1 October 2012, the adult rate will increase to £6.19 per hour. On the other hand the rates for 18-20 and 16-17 year olds will remain the same. In this time of uncertainty and tough economic environment, the increase has been welcomed by Cleaning businesses. This entry was posted in Amy Cleaning News and tagged amy cleaning, cleaning industry news, cleaning news, cleaning wages, domestic cleaner, minimum wage on 27/04/2012 by admin. Another fantastic example of where the Amy Charity helped was for an elderly gentleman who lives on his own in East London. He found his every day cleaning duties extremely difficult and was falling behind with his everyday cleaning tasks. He has lived on his own for 10 years since he and his wife divorced. In order to ascertain this client cleaning needs we completed a cleaning audit and a blitz clean with the cleaner and our house keeping supervisor as the client’s home needed a lot of work and tender loving care. This supervision enabled the cleaner to prioritize her cleaning as there was a lot of work to be done and to get the client home back to its original sparkling condition. The feedback from the client was so great that the cleaner became cleaner of the month title as she completed such a great job and the client was extremely happy with her and our services. The cleaner then cleaned on a weekly basis for 2hrs. Upon our initial charity visit to his home , he informed us that he needed new carpets for his hallway and laminate flooring for his toilet and he also needed a new toilet as his toilet had a leak. We directed the client to the right people he needed to speak to within his council borough with regards to his problems. We can now confirm that he now has new carpets in his hallway and stairs, new laminate flooring in his toilet and a new toilet. We not only help with cleaning/ironing needs but also gives advice and support with any other concerns, issues or problems that people may have and that we can help with. We are very pleased to have helped this elderly gentleman and thanks to the kindness of our customers as a percentage of the agency fee they pay goes towards the Amy Charity, we are always looking for more people who we can help and fit the Amy Charity criteria. The Amy Charity is simple, if you are or know someone with a disability, or whom is elderly and is deserving help as they have been kind to others and is struggling with their everyday cleaning/ironing needs then simply give us a call. The charity is popular and places do get filled up quickly but please do contact us as we would love to be able to help. We will take a few details over the telephone from you, just to give us an idea of the help that is required. We will then book an appointment with you so that we can complete a home visit and if eligible we can then allocate a cleaner. So please don’t struggle in silence and give us a call on 0845 062 9999. This entry was posted in Amy Charity, Amy Cleaning News and tagged Amy Charity, amy cleaning on 04/05/2011 by admin. From S. L.: Vanessa did a great job in my flat yesterday –it was so nice to come home to everything sparkling! From D. M.: I just wanted to write a quick note to say Sorina did a really great job last Thursday. From S. B.: Last week’s clean went very well – hopefully Sorina will be ok on her own this week. We’re happy to work with her to get her settled in. 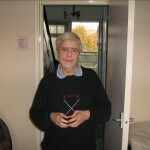 This entry was posted in Amy Cleaning News and tagged best cleaner award, cleaner of the month on 18/11/2010 by admin. Cleaner of the month is Valya Angelova. She has joined us in June and has received only good feedback so far. Always helpfull and ready to take on more jobs. From E. M. We are happy with Valya at the moment – hope she keeps up the good standard of work! From J. L. Valya is lovely and all is well. This entry was posted in Amy Cleaning News and tagged best cleaner award, cleaner of the month, cleaner of the month amy cleaning on 06/10/2010 by admin. Our Best Cleaner Award this month goes to Irena Sztorc. She started in June and her communication with the agency since then is very good. Irena has a vast experience in cleaning houses and also as a cleaner supervisor. We would like to thank Irena for her hard work! 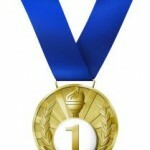 This entry was posted in Amy Cleaning News and tagged best cleaner award amy cleaning, best cleaner of the month, domestic cleaner of the month on 06/09/2010 by admin. The Amy Charity can help by providing deserving people in need a cleaner without any agency fee. There are currently some more available spaces for people in need of help. We would like to thank our customers for making this possible, basically for each 100 paying customers, we are then able to offer a deserving person or household this charitable help so we thank all Amy customers for their kindness. 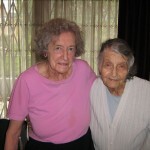 A lovely example of where the Amy Charity is able to help is the assistance we can give to two 94 and 98 year old women who have lived together for 56 years. They live in North West London and admit they are both very fragile so their everyday cleaning needs have become extremely difficult for them. The 98 yr old has to go out every day and buy lunch/dinner for them to eat as they are both unable to use the cooker due to their illnesses. We are currently in the progress of trying to find a company that would organise and arrange lunch/dinner for them, so that they would not need to buy food everyday and would save them a lot of money. The cleaner says “They are both lovely and I am very happy to clean for them”. We are very pleased to have helped these lovely two elderly ladies and thanks to the kindness of our customers we are always looking for more people who we can help and fit the Amy Charity criteria. The Amy Charity is simple, if you are or know someone with a disability, or whom is elderly and is deserving help as they have been kind to others and is struggling with their everyday cleaning/ironing needs then simply give us a call. It the charity is popular and places do get filled up quickly but please do contact us as we would love to be able to help. This entry was posted in Amy Charity, Amy Cleaning News and tagged agencies charity, Amy Charity, Amy Cleaning Charity on 20/08/2010 by admin. We have made many improvements over the previous year, most of these to do with improved management systems and training of staff which have led to huge improvements in the service we provide. We come from a background of providing cleaning, but as we have grown we have needed management expertise to show us how to run a larger domestic cleaning agency service. We would like to thank Mr John Freeman of http://www.familiesinbusiness.co.uk. His advice and assistance have led to many lovely comments from customers and staff as they see the great things he is introducing. John Freeman is a qualified, experienced family business specialist with a unique understanding of the complexities of families in business through living and working on both sides of the “fence”. is a member of a family that was in business. He has firsthand experience of the impact that issues between family members can have on the family and the business, or wealth. This became even more apparent when he left the corporate world to work as an independent turnaround executive, often turning around family businesses. John Freeman is on the Family Business Panel and Advisory Committee of Coutts. He advised Coutts on the creation of their Prize for Family Business, chaired sessions of the judging panels, interviewed finalists. He is a regular speaker on Family Business. All families are different but the situations that they find themselves in are surprisingly common although the solutions that are found differ because of the uniqueness of the individuals involved. This entry was posted in Amy Cleaning News on 06/08/2010 by admin. 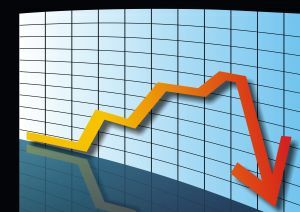 Everyday we are bombarded with news regarding the economic crisis and the deteriorated labour market. Thousands of people are loosing their jobs regularly, increasing the percentage of job seekers and thus, debilitating the once strong welfare system. As everything in life, there is always people that loose and people that gain from a crisis. At http://www.amycleaning.co.uk we have seen a huge increase on the number of applicants looking for a domestic job. While this could be overwhelming, it can strongly benefit the business. For instance, the percentage of experienced applicants is very high. This means that during the recruitment process we can put more emphasis not only on tangible skills (e.g. domestic cleaning experience) but also intangible qualities (e.g. willingness to work hard, flexibility with travelling or loyalty). So we are taking on board the best of the best. The quality of the domestic cleaners working with us has always been very high. But at this moment of economic crisis their quality of work and customer care is even higher, hence the high number of positive feed backs we are receiving from our customers. This entry was posted in Amy Cleaning News and tagged benefits of economic crisis, domestic cleaner, domestic cleaning agency on 19/02/2009 by admin. After a lot of hard work we can announce the launch of the Online Cancellation service on http://www.amycleaning.co.uk, effective from today. Amy Cleaning website has been updated with new and useful services to make your life easier. No more paper work needed! ; the cancellation process will be available from the website with easy to follow steps, so your cancellation notice can reach us promptly and we will be able to deal with your requests on a more efficient manner. We know that customers’ feedback is essential to improve our service. We hope that the changes made to the cancellation service will benefit them well. This entry was posted in Amy Cleaning News and tagged Amy domestic cleaning agency service london on 10/12/2008 by admin. Since the success of our online ordering, http://www.amycleaning.co.uk is now working on an online cancellation system. This is currently being built and should be ready for testing in December for launch at the beginning of 2009. We are really thankful for our customers for recommending this, we have had many comments that Amy domestic cleaning agency customers can easily join the service online. However having to send a hand signed letter by fax, as a scanned attachment to an email or by post is far less convenient. We are sorry that it is taking us time to build but we want to ensure that it is only launched once we know it is totaly stable, secure and approved by our customers. This entry was posted in Amy Cleaning News and tagged Amy domestic cleaning agency service london on 13/11/2008 by admin.